But now I'm breaking out of my wallow phase & seeking a PMA (Positive Mental Attitude). This may or may not be helped by the fact that I was given 2 free lobsters & some crab today in work. Cut to me play Barefoot Contessa and whipping up some Lobster Pot Pie! 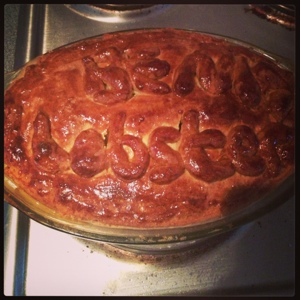 I even made the pastry myself. Mucho self satisfaction going on. My Instagram of the finished article. It was scrummy! In my hibernation I have also rediscovered my love doing my nails & below you can see my 2 latest nail art creations. I've even vined the mix & match so you can see each stage in progress! I've got lots of ideas & my "Nail Inspo" is filling up with lots of pretty designs I want to recreate so hopefully they'll be good enough to show off! 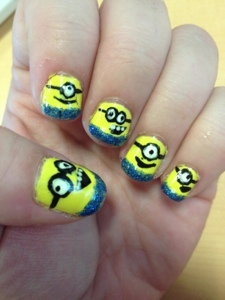 Minions!! I haven't named them all yet so suggestions welcome. 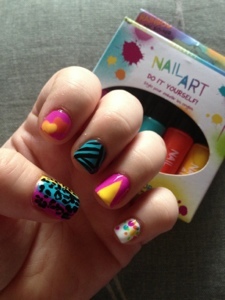 Mix & Match inspired by Sophy Robson & WAH nails! I quite like vines like this. Let me know if you would like to see more!